Boca Raton DUI Attorney | Steven J. Litvack, P.A. A DUI arrest does not have to result in a DUI conviction. 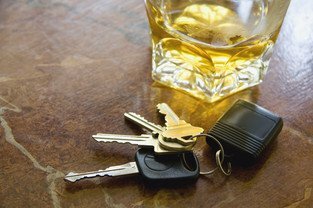 Do not resolve a DUI charge before consulting with an experienced DUI attorney. Depending on the facts of your case, you may have defenses available to you that you are not even aware of. Was the traffic stop lawful? The police can not pull people over based solely on a mere hunch. They have to have a reasonable suspicion that a crime or traffic infraction is being committed. Common reasons why drivers are stopped include: speeding, weaving, failure to maintain a single lane, obscured tag, broken tail light, cracked windshield, or other traffic infractions. The law specifically outlines what the police must first observe before they can pull you over. Often, people are pulled over before their actions actually amount to a traffic infraction. Depending on the individual facts of your case, the police may not have been allowed to stop you. If that is the case, the initial stop may be challenged which could result in a DISMISSAL of your case. Was there probable cause to perform a DUI investigation? Even if the traffic stop was lawful, the police can not automatically perform DUI investigations. They must first have probable cause to believe the driver is impaired. It is legal to consume alcohol and drive. Hence, bars and restaurants have parking lots. It is only becomes illegal to drive when you have consumed too much alcohol and are impaired. The police must observe signs of impairment in order to perform a DUI investigation. Simply advising a police officer that you had a beer or glass of wine at dinner does not give them probable cause to perform a DUI investigation. However, police officers are humans and often jump the gun and decide to perform a DUI investigation without enough evidence of impairment. Depending on the facts of your case, the officer may not have had probable cause to perform the DUI investigation. If so, your case could get DISMISSED. An officer only has to have probable cause to arrest someone. However, the prosecutor has to prove the case beyond a reasonable doubt in order to convict someone; a very high burden. Prosecutors are often unable to convince a jury beyond a reasonable doubt that a person is guilty of a DUI. An experienced lawyer will be able to review your case and the evidence against you to determine whether the prosecutor can prove the case at trial. Does your attorney actually go to trial? It is important to hire an attorney who actually tries cases and not an attorney who is afraid to go to trial. Some lawyers are trial dodgers and will try to push a plea deal down your throat after being paid. Depending on the evidence, a plea may be in your best interest. However, you may have a strong case to take to trial. Therefore, you want an attorney who actually tries cases advising you what is in your best interest. I have tried over 50 jury trials. As a former prosecutor, I will analyze your case with both a prosecutors perspective as well as a defense attorneys perspective in order to be fully prepared to address each piece of evidence to take the wind out of the prosecutor's sail. Learn more about my experience here. If you, or someone your know, has been arrested for a DUI, contact me for a FREE CONSULTATION.